This time around, we have a device that turns your HDTV into a smart TV. With Favi’s SmartStick you can make your plain Jane TV “connected” by simply plugging in a small device into your HDMI, power via USB, and controlled by an IR sensor that is placed on top of your TV. 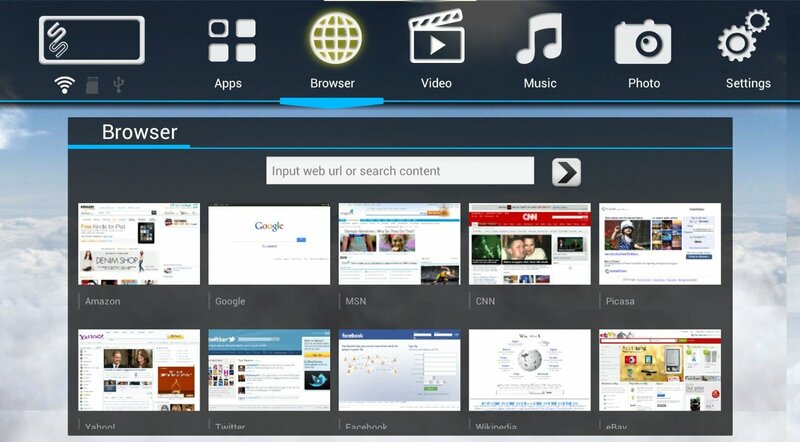 A remote is also included in the package to navigate through the Android OS 4.0 interface. 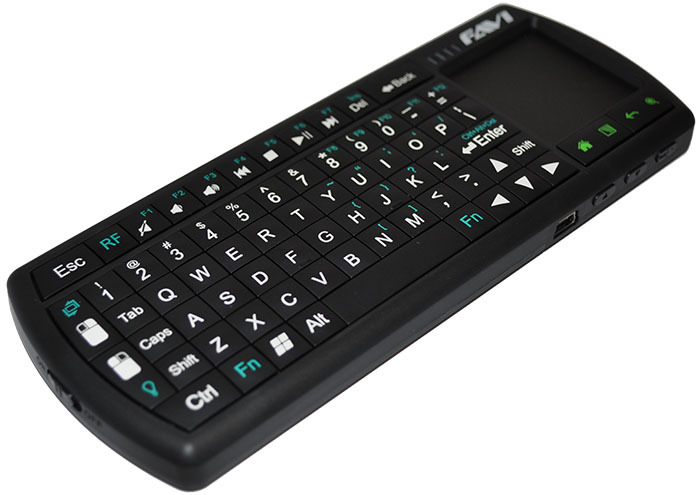 A wireless keyboard and mouse is needed but Favi offers another solution, the SmartStick Keyboard controller. By way of the storefront, you have access to game and video apps and 4 or 8 Gigs of storage to access on board files with support of up to 32GB by Micro SD. The Smart Stick was a breeze to set up as long as you have easy access to the back of your TV. Once plugged in and on, I was taken through a brief 10 minute setup to access my account and then it was off to downloading apps. The interface looks good in both 720 and 1080 HD and allows for widgets on the home screen. The controller does navigate through the system but is rather frustrating after short usage as it uses a thin and frugal feeling plastic remote where the input commands were often delayed or incorrect. 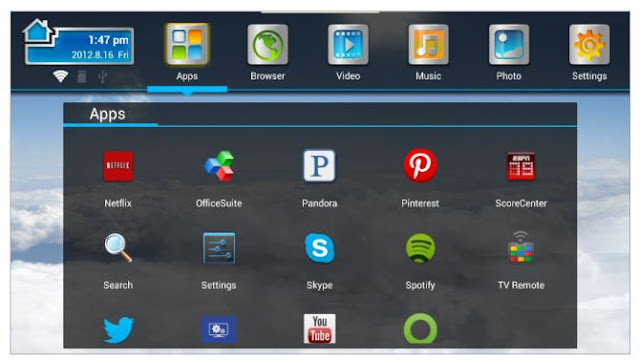 The ability to download and use many apps from this device, whether it be gaming or multimedia, while still having access to the internet via your choice of browsers were nice options that other similar TV multimedia devices do not offer. While the remote is not very reliable or user friendly, the Favi SmartStick wireless keyboard with mouse touchpad does make navigation much more convenient and reliable. While at times there was some lag it was a lot more reliable than the remote that came with the SmartStick. The wireless keyboard has a full keyboard, trackpad mouse, Android hotkeys, and is rechargeable via USB cable. Not limited to being used with the SmartStick device, it is also good to use during presentations, whether to switch between slides, editing on the fly, or streaming, it does make portable usage a lot more convenient without sacrificing any features or space. While I was a bit apprehensive as to how well the SmartStick would operate as with some smart TV’s I have experienced ridiculously slow interfaces, but with Favi’s device, the operating system looked crisp and clean, while navigation was smooth and easy to navigate via the wireless keyboard. Be warned that the remote which comes with the SmartStick was quite possibly the worst part of the experience, but when used with the wireless keyboard instead, it is a lot more pleasant to use while making navigation less frustrating. With the Android interface, it felt familiar and was easy to navigate, even more so once connected to your Google account.